Rose Daley led the meeting (as President). 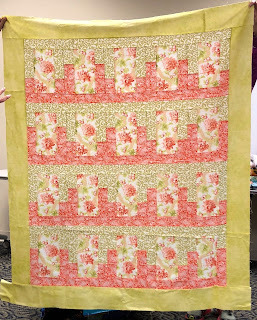 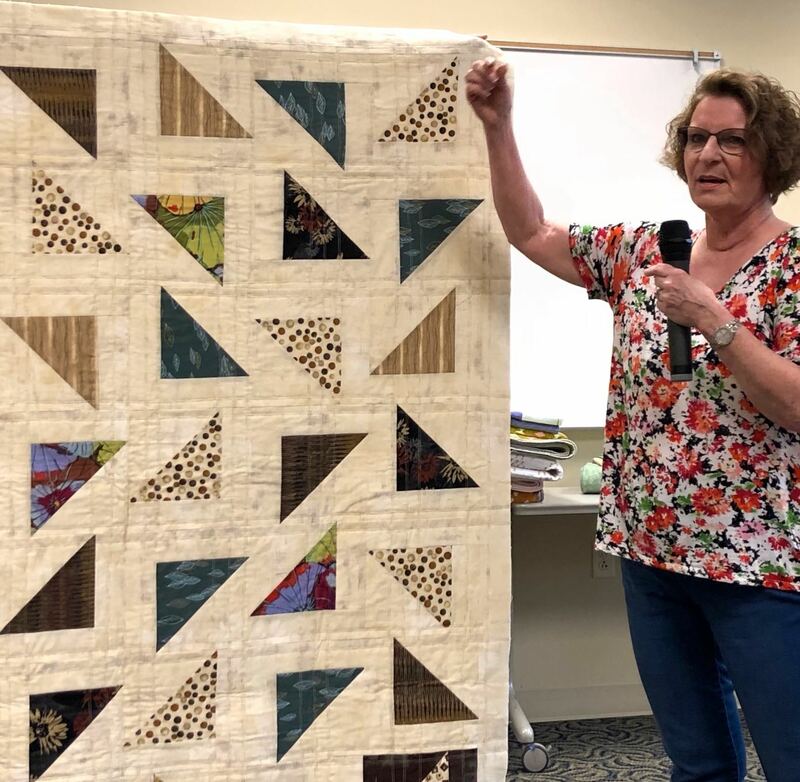 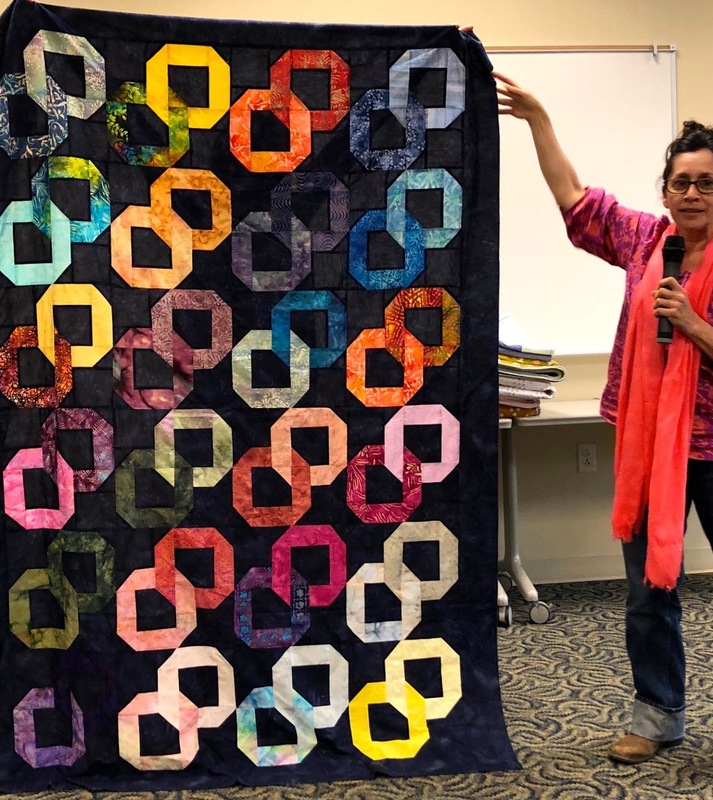 She encouraged the Quilting With Friends bee groups to meet and announced the formation of a new Bee for Dyeing Fabric. 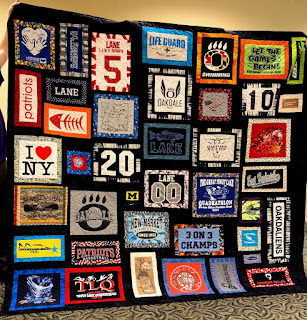 Members can get more information or indicate interest here. 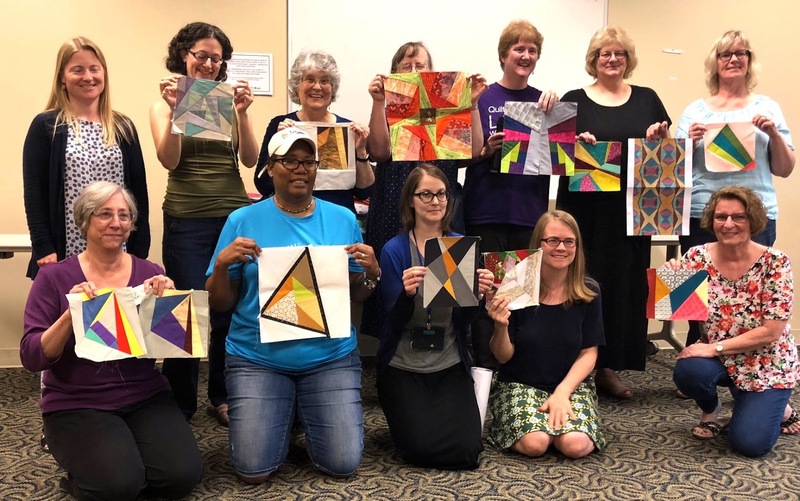 Guild retreat will be held at Pearlstone Center in Reisterstown from November 15 to 18. Registration for four day attendees will be open on Thursday, June 14th at 8 p.m. Day attendance (non-residential) pass will go on sale at a later time. 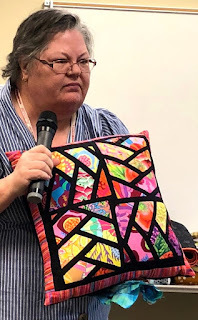 There are 22 spaces for people who want to stay at the retreat site; we have 35 sewing spaces so there will a number of day slots. Payment will be via PayPal (if desired - members who pay this way will be assessed PayPal fees in addition) or check. 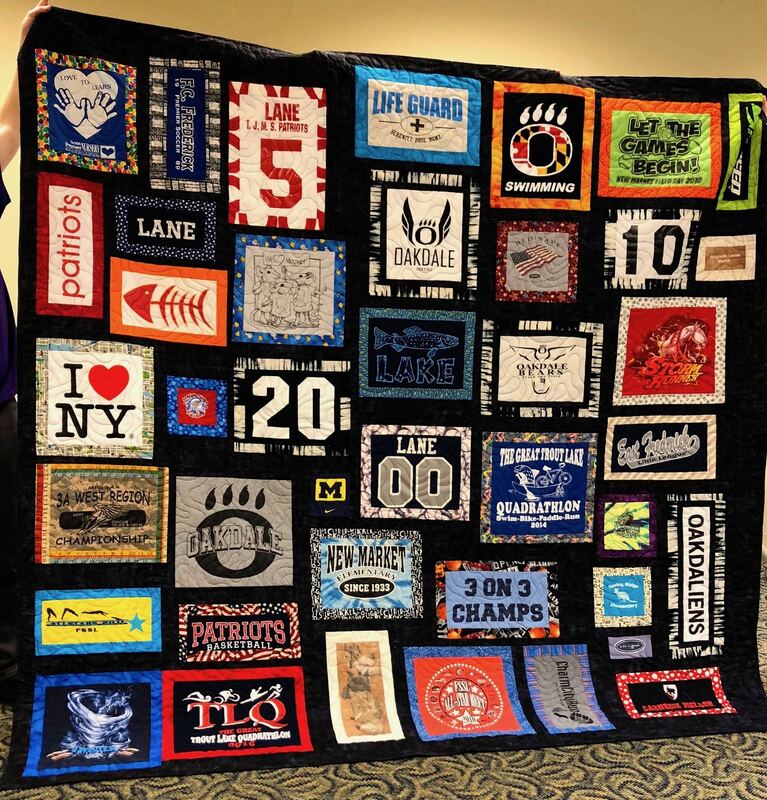 Members who register will have two weeks to pay or lose their spot. 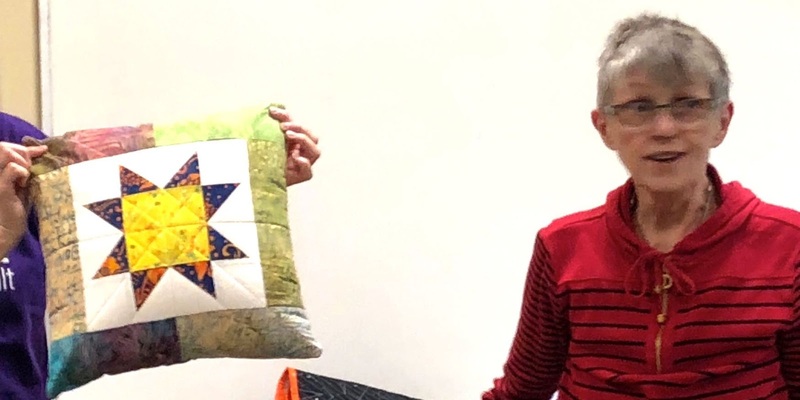 Rooms at retreat are double occupancy with private baths; the fee includes dinner on Thursday, three meals Friday and Saturday and breakfast on Sunday. 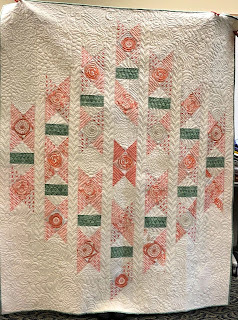 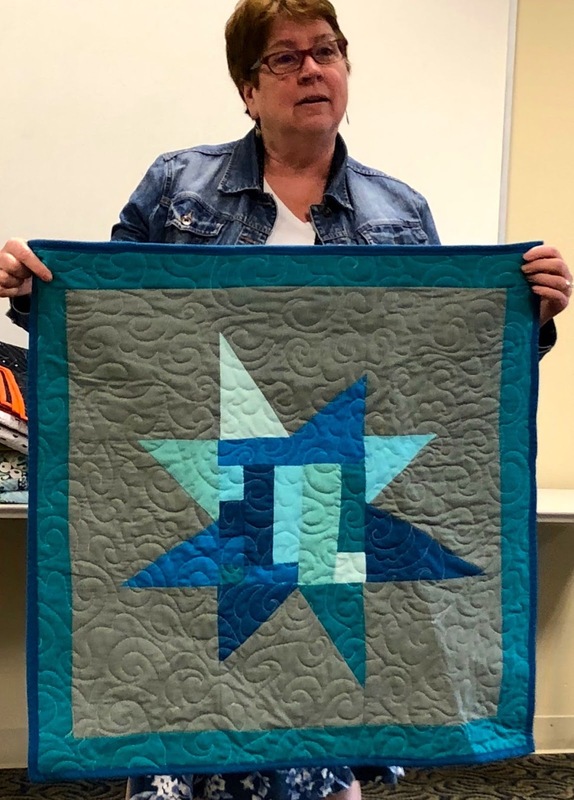 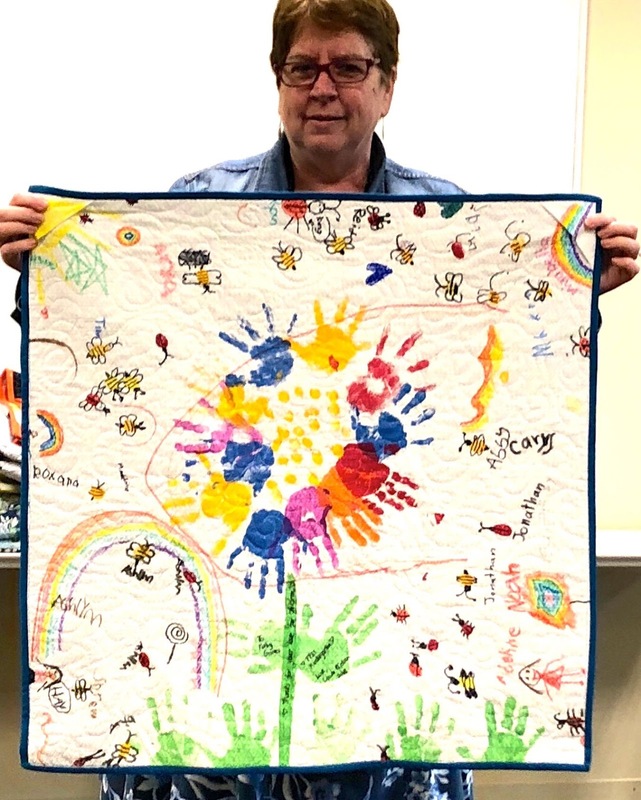 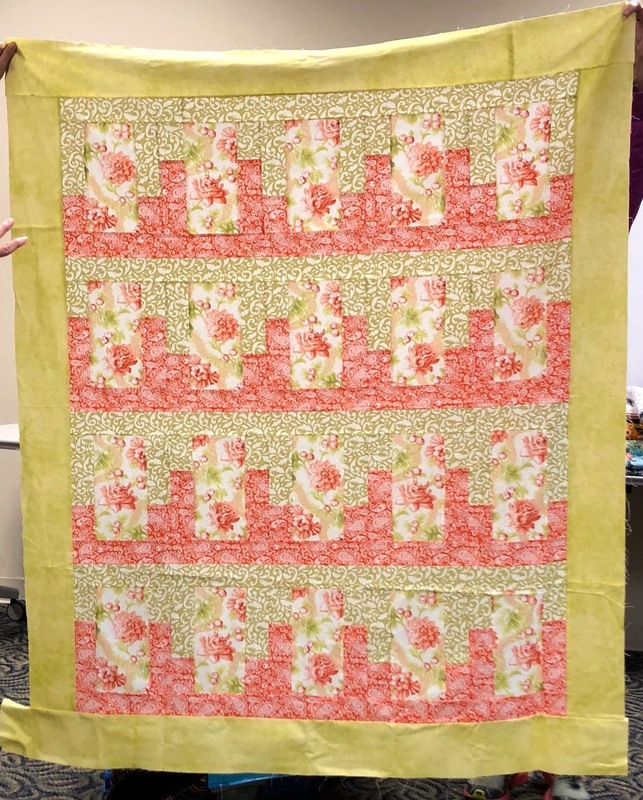 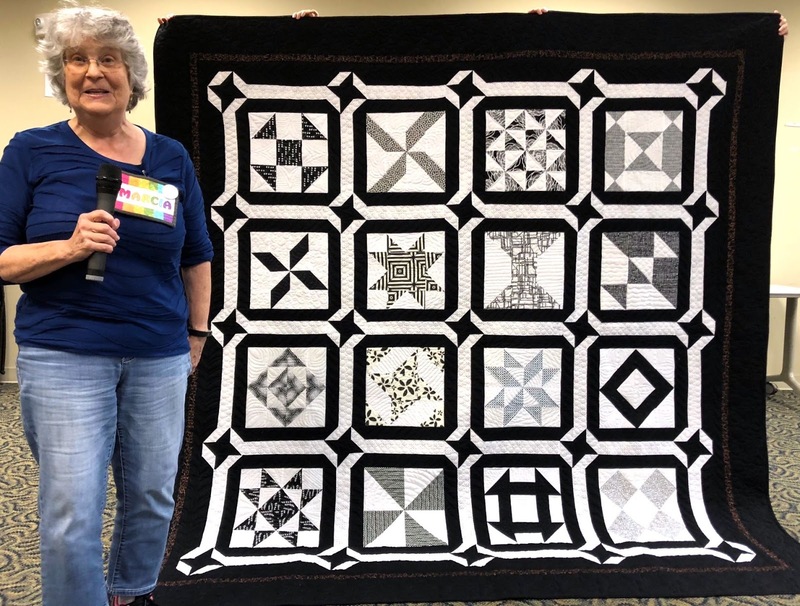 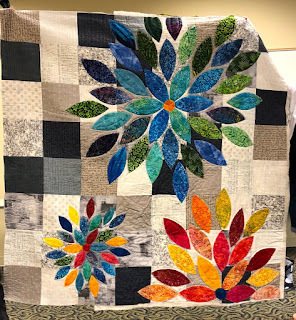 Rose reminded us that registration for Quilt Con 2018 opens on June 26th. 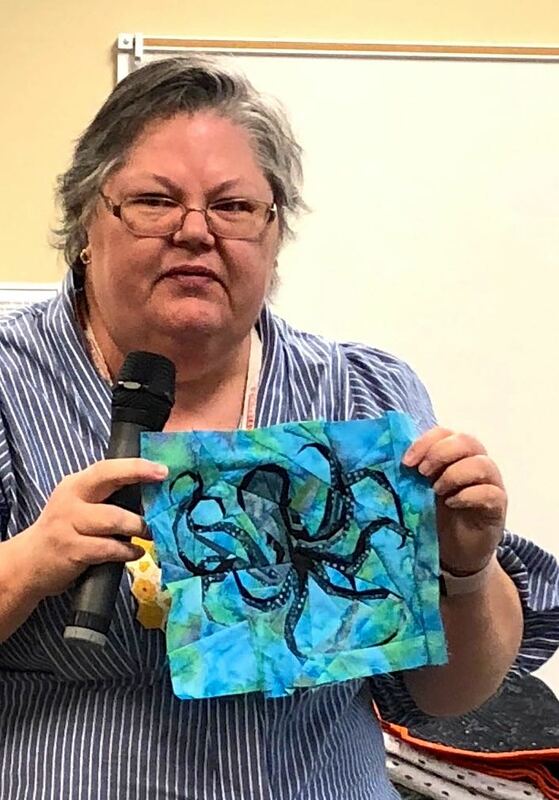 This Con will be held in Nashville, TN. 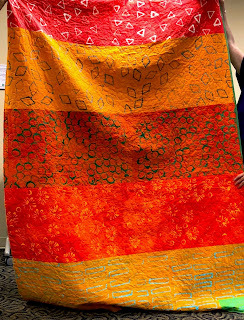 Attendance at the show itself is FREE to all MQG members and includes goody bags. 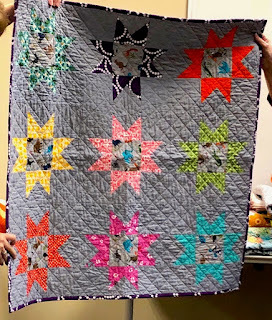 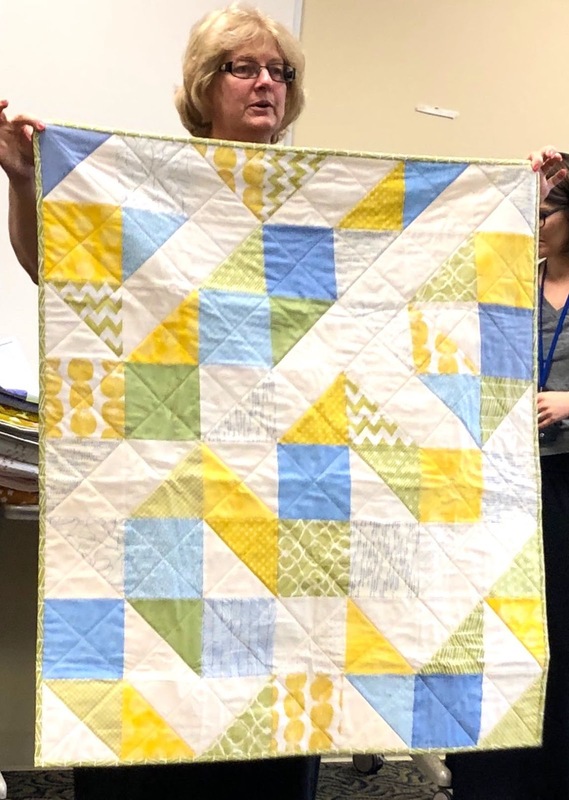 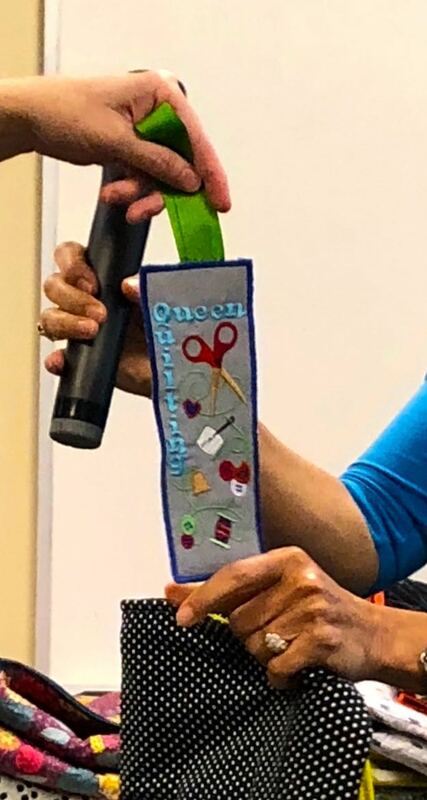 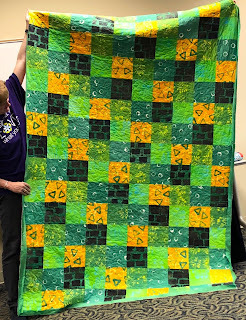 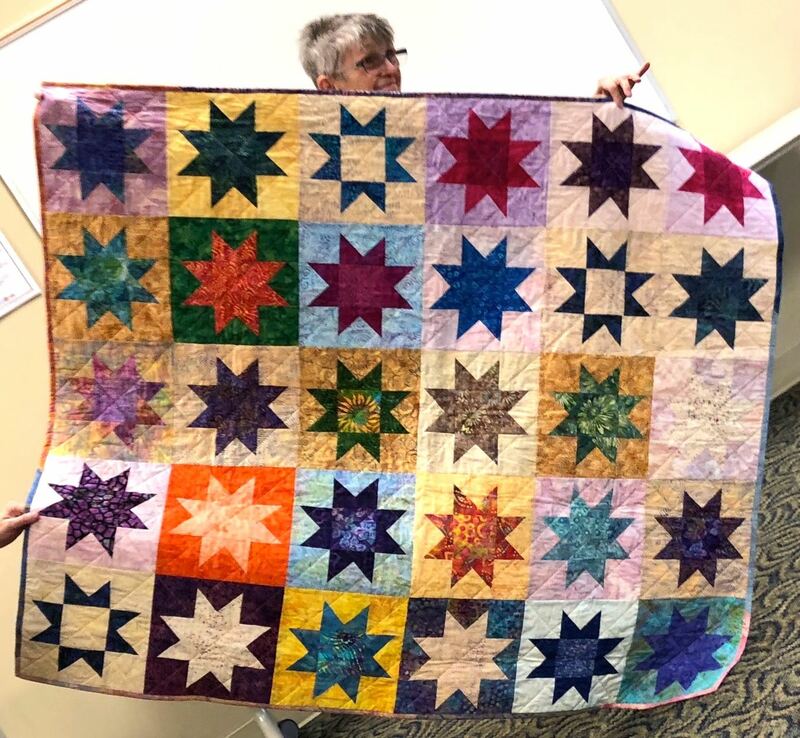 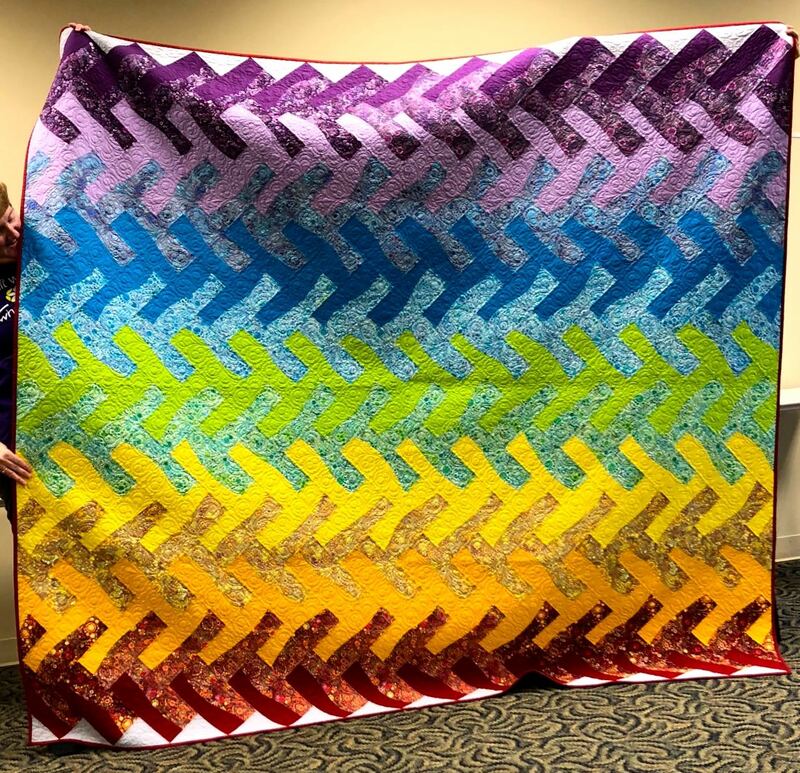 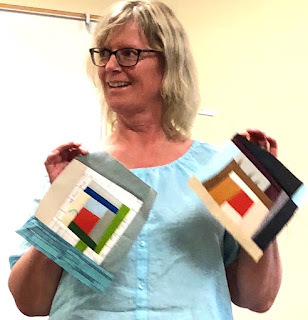 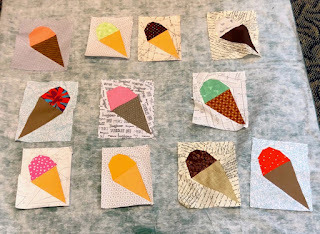 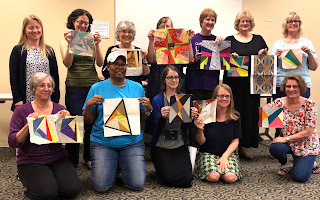 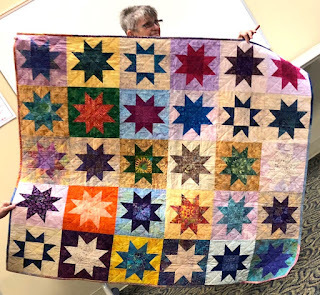 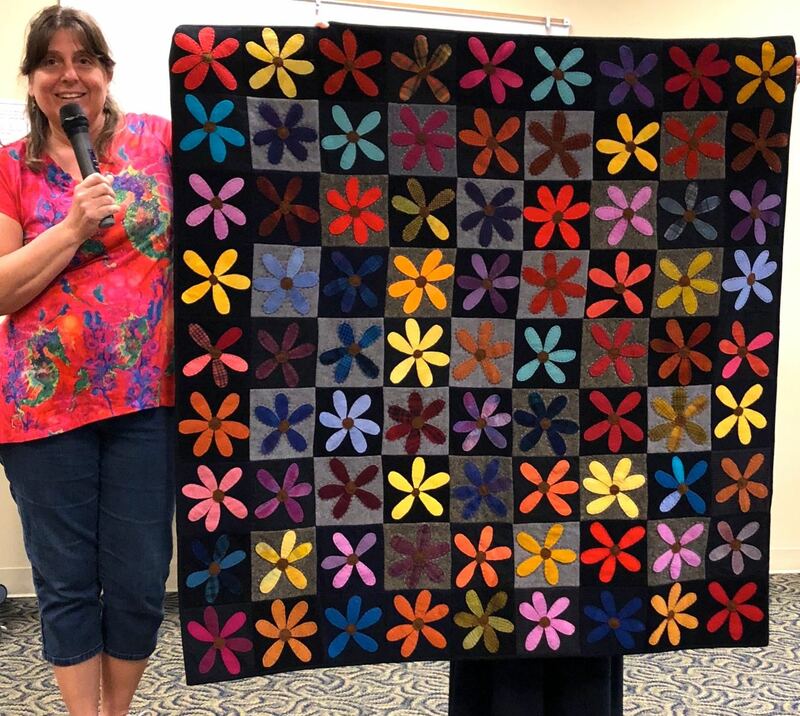 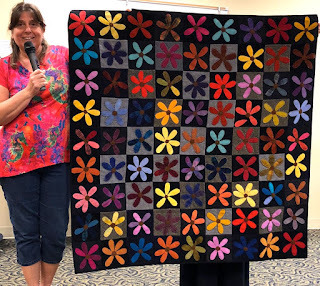 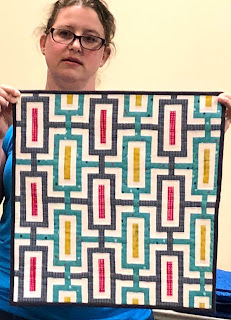 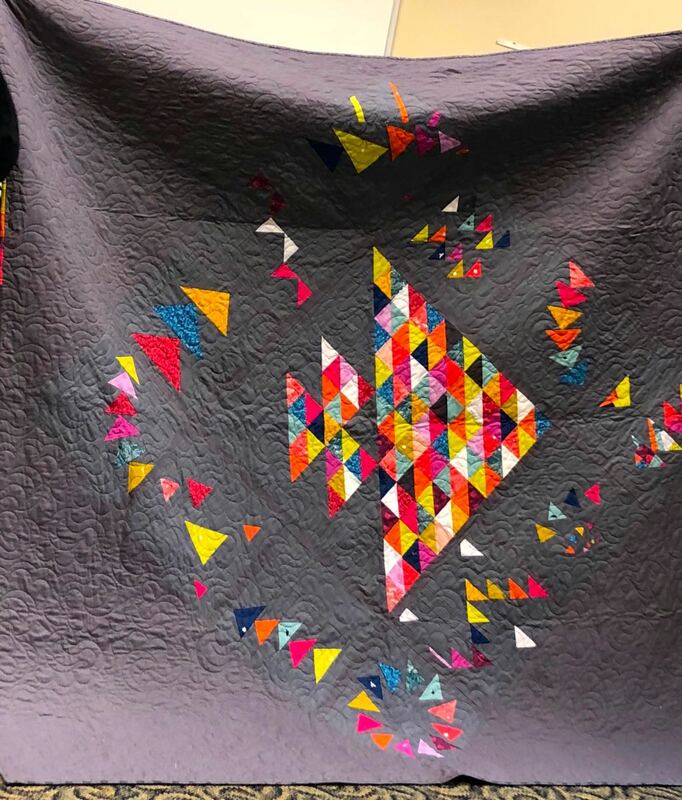 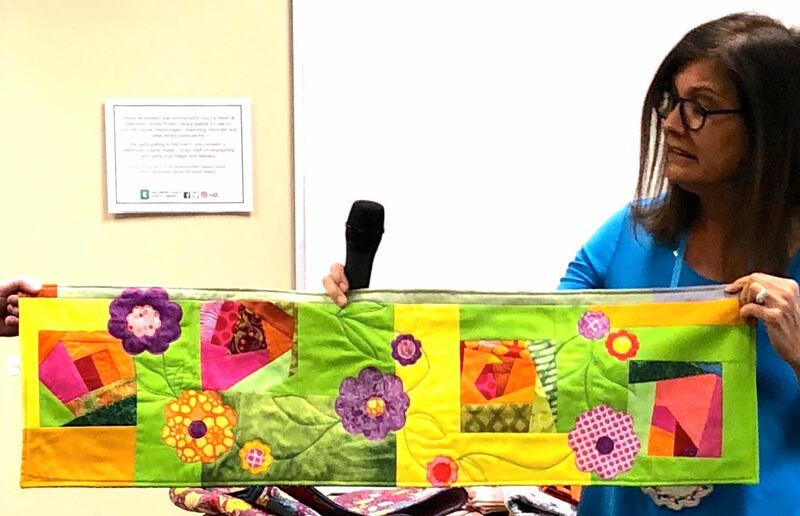 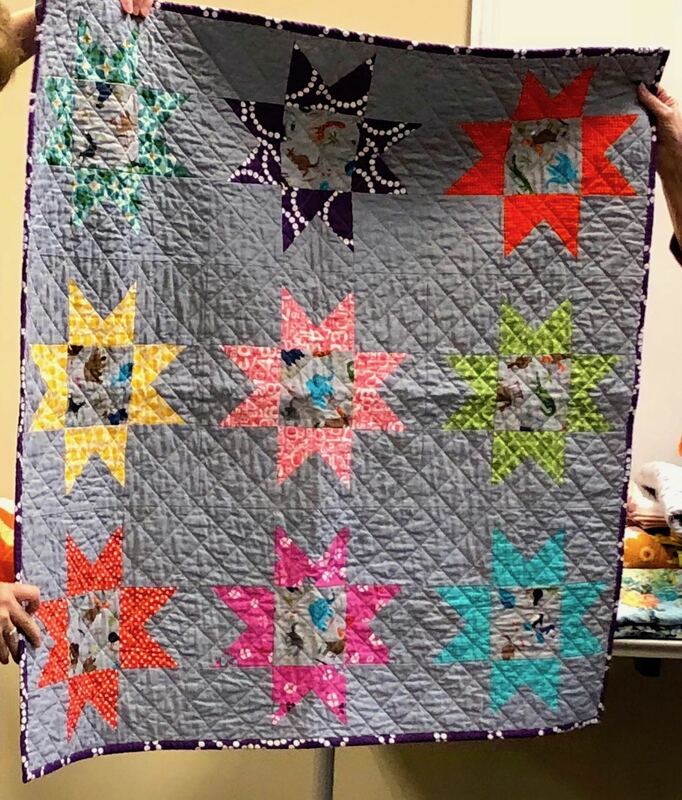 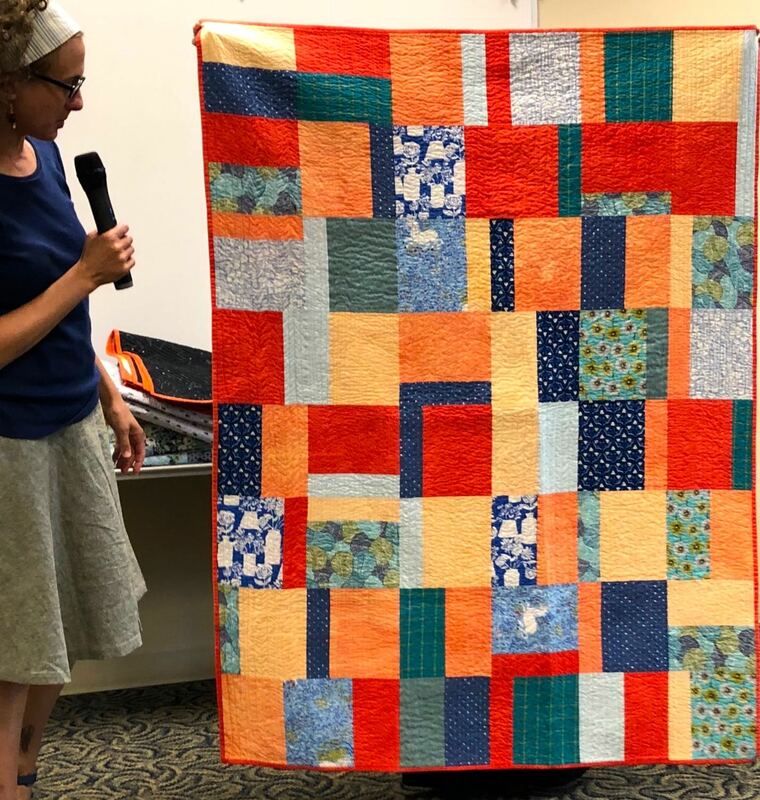 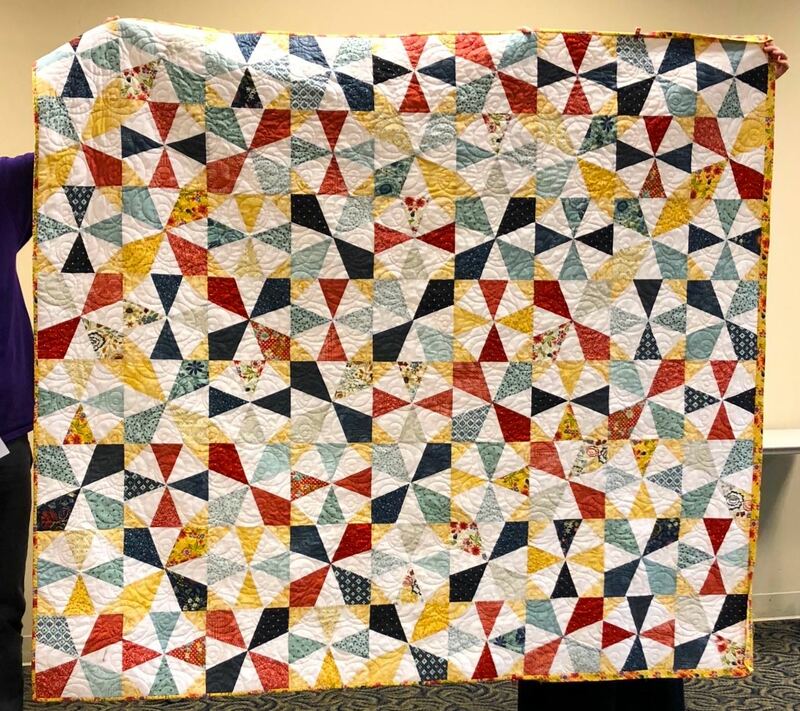 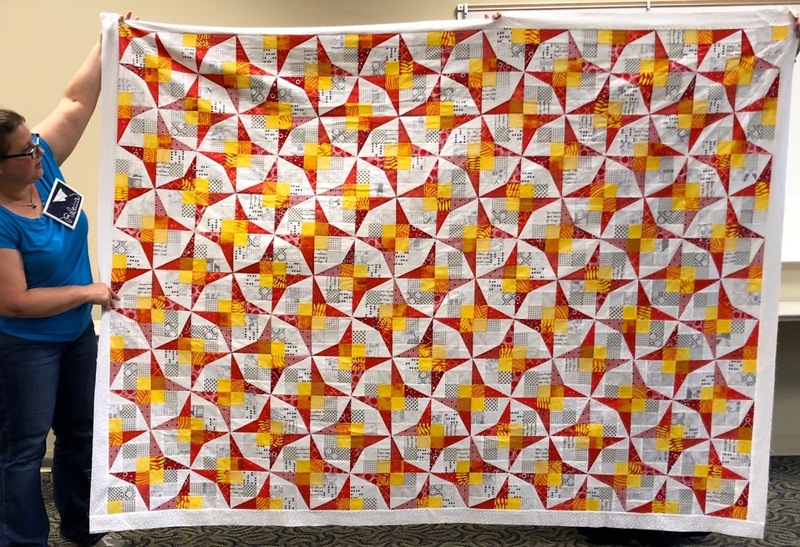 Details for the 2019 QuiltCon charity quilt have been released by the national group, including the color palette and design challenge. 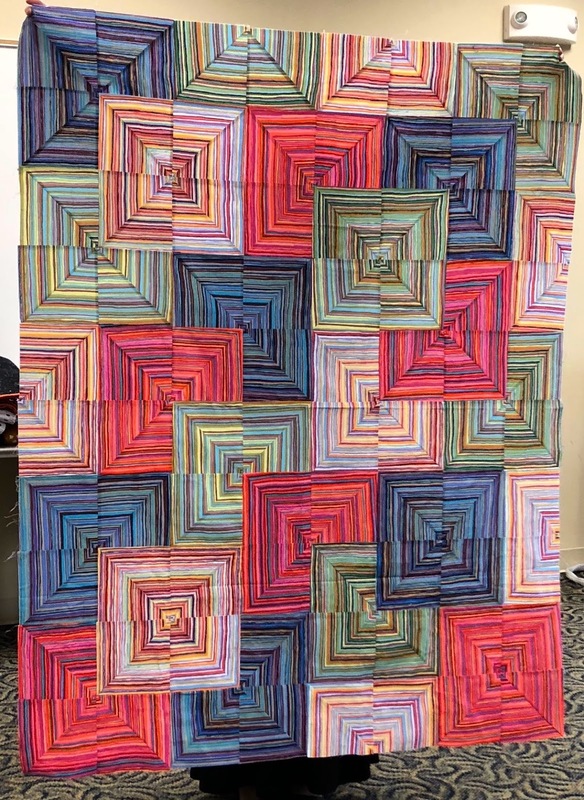 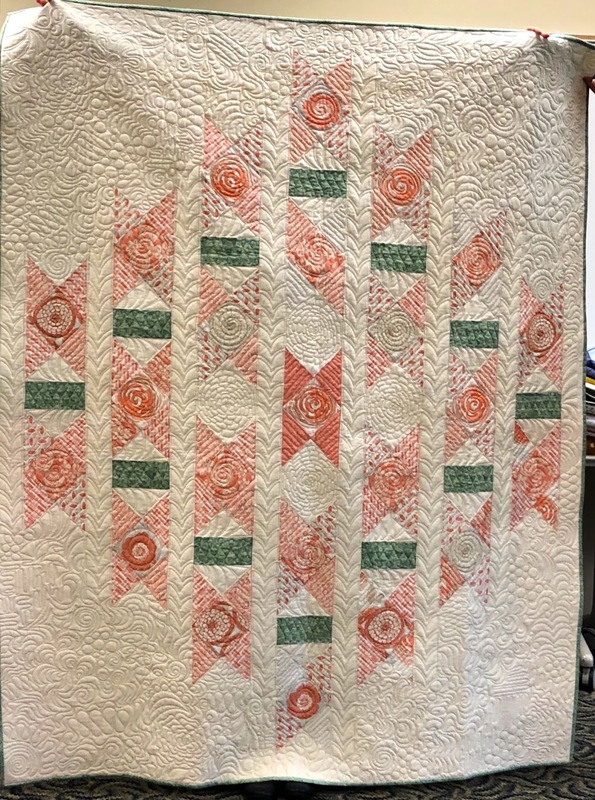 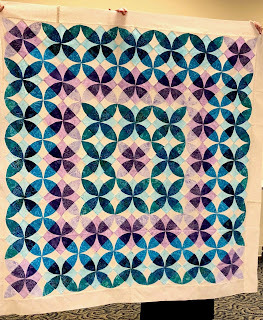 Anyone in our guild who is interested in working on this quilt should see an email to Rose. 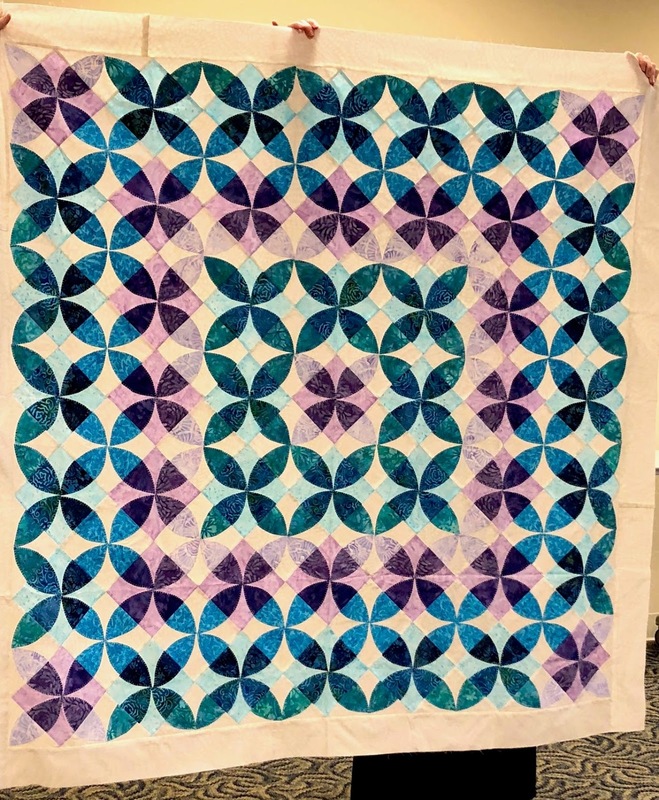 She would like to get a committee of eight to ten people to work on the project; if there is not enough interest, our guild will not participate. 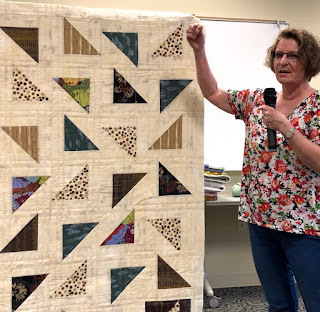 Janet announced a need for volunteers to help with retreat (soliciting door prizes, helping with classes, etc) and with bingo (advertising, door prizes, finding a Scouting troop for refreshments, prize coordination, etc.). 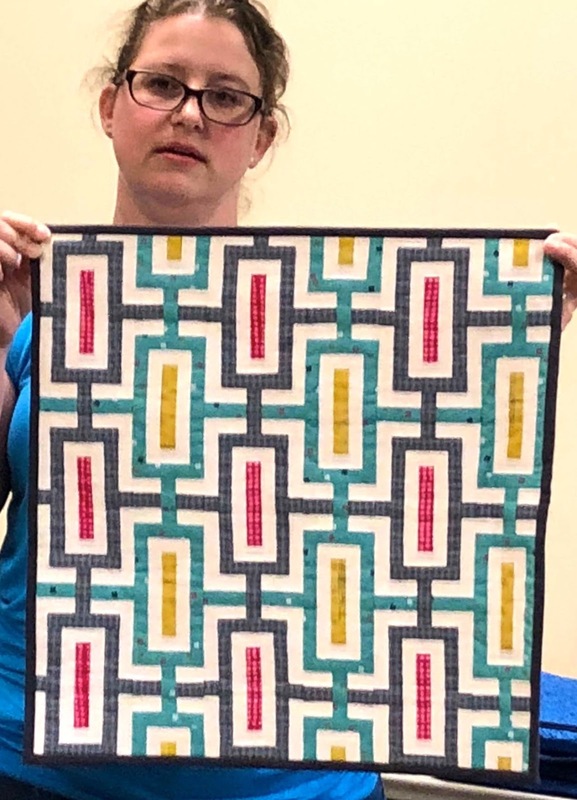 Please contact her to offer your help! 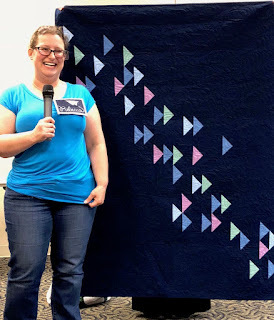 Show and Share was inspriational! Pat also showed a vivid orange triangle patchwork pillow which moved too fast for photos. 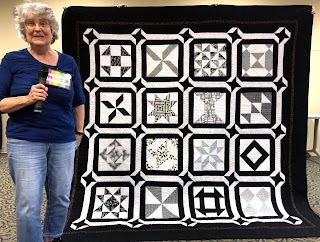 Minutes and photographs taken and posted by Linda Schiffer. 6-11-18.